Musings off the Matt is a collection of warm, funny, sometimes heart-wrenching essays by New Jersey writer Joyce Poggi Hager. Ranging from family stories to recipes, they recount her Italian heritage, childhood, motherhood, and early empty nesting, Hager’s stories read like a conversation between two old friends over a cup of coffee – you’re barely a paragraph in when you find yourself feeling like you’ve known this person and her family forever. Collected from the best of Hager's popular blog series (and featuring a story she'd written for Chicken Soup for the Soul), the essays allow you to meet the author at life's most intriguing, hilarious, and heartfelt moments: from fond childhood memories to mothering her own children, from discovering she has lime disease to helping her elderly and widowed father cope with loneliness and a move to a new city. Written with clean, tight prose, these cheery little stories are sure to provide a comforting escape and calm reassurance to anyone who’s ever dealt with family or found themselves searching for the perfect biscotti recipe. Recommended. A World War 2 veteran reflects on his past one Christmas Eve. A suburban single-mom moves into a new neighborhood and finds herself dodging the attentions of the eccentric science teacher next door. A young boy takes his first flight in his mother's boyfriend's plane. An aspiring actress in 1950s New York finds help from an unusual source. A man who has everything finds himself in love with the one woman he can never have - or can he? Uncommon Type is a collection of 17 short stories by Tom Hanks, all of which feature, in one way or another, a typewriter. Book-ended (see what I did there?) with stories of a tight-knit if eccentric group of friends, Hanks' stories are alternately tragic and hilarious, folksy and edgy, hopeful and heartbreaking, but always human. In fact, that's probably the best thing you can say about this book: you put it down feeling that, in some way, the world is a little warmer and a little more home. Not all of the stories come off perfectly - it feels in some that Hanks is stretching his literary muscles a little beyond their capacity - but that being said, its been a while since I've read a new book that made me feel like the human race was all right. I could use a few more books like this one. I'm very pleased to be able to say that 'Michael Lawrence: the Season of Darkness' just received a 5-star review from Readers' Favorite! Be sure to check out the review by clicking the logo below. 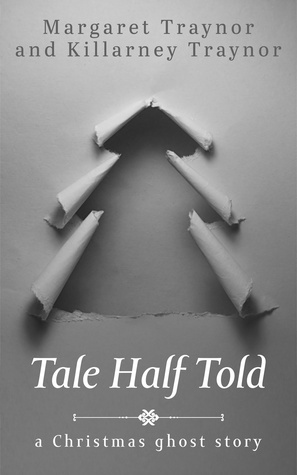 And if you haven't signed up for the 'Tale Half Told' giveaway, do so now! Book 3 in the Seasons of Love series, by Liwen Ho. Librarian Chloe McAlister has almost gotten used to life with a cochlear implant, thanks to her best friend Dill Thomas, when life hands her another unforeseen twist: her longtime crush announces his engagement to someone else. On a whim, she signs up for a speed dating session and convinces Dill to go along with her, only to discover that Dill might actually be the man of her dreams after all. But he's met someone else. Is it too late for happily ever after? Liwen Ho writes short, fun stories that are easily read during your lunch hour and she has the happy knack of writing characters that you like from line one. Chloe and Dill are a likeable pair who are so natural on page that you'd swear you know them in real life. Chloe's struggles with self-image after her cochlear implant feel realistic and it's refreshing to see a rom-com character deal with something so life-altering in a fun, positive way. This is book three in the Seasons of Love series, and while each book is stand-alone, characters from previous books do crop up in in this one. Highly recommended. The novelization of Michael Lawrence: the Season of Darkness is approaching publication! World-weary Portsmouth detective Michael Lawrence must put his personal problems aside when a popular local music teacher is murdered. Sign up today to be notified of the book's release and you'll be automatically entered to win two tickets to the world premiere of the movie, June 23rd, in Exeter NH! ​CLICK HERE to enter today! Bacteriologist John Grissom has a secret life. Not only is he a reluctant vampire, conscientiously avoiding human blood while wrestling with his darker desires, but he's a member of the newly created Odd Crimes Division, investigating supernatural and strange events that occur in London - and his partner is none other than famed vampire-slayer Gerhardt van Helsing. In this, the second installment of the series, an investigation into the attempted assassination of the Marquis of Wellesley leads them on a merry romp through the country-side to stop a villain who's new-found elixir gives him power to influence the minds of his victims, to deadly effect. If Grissom and Van Helsing aren't careful, The Egyptian Elixir might just be their undoing. The Egyptian Elixir is a rollicking good time, filled with snappy dialog, bone-crunching action, and a swift moving plot. Grissom is an appropriately moody, dark figure with a good heart while snarky, arrogant Van Helsing is just a delight to read. The story weaves through London and the outlining towns, and is filled with darkened alleys, elegant homes, codes, secret societies, and everything that makes old-fashioned horror/adventure fun. This is Penny Dreadful for those who want to scale back the gruesome elements and include more fun. Recommended. ​I read The Egyptian Elixir first, but definitely recommend that you start with Book One: The Order of Blood. 17-year-old Miri Jones is determined to be a police detective, like her father. When she stumbles upon a mutilated corpse in the woods during her morning run, she's convinced that she's found her first case. But this is no ordinary killing and it soon becomes apparent that not only is Miri in danger, but the entire town of New Hope as well. Plunged into the middle of a war they never knew existed, can Miri and her friends survive? The first book in a series, Steve Hobb's novel reads like a fun, old-fashioned horror/adventure, a sort of Nancy Drew meets the X-Files. Miri Jones is a likeable protagonist who finds herself squaring off against desperate vampires, but she's not alone in the fight. While her father, Chief Jones, finds himself in an uneasy alliance with federal agents, Miri and her rag-tag team of quippy teens assemble to bring the killers to justice - and maybe save a family member as well. Fast-paced and fun, with enough twists and turns to keep you entertained, this is a solid opening for a series. Highly recommended. It's 19 years since the battle of Hogwarts, and the Boy-Who-Lived is now a husband, father, and head of his own department. But though Voldemort's long gone, all is not well in the wizarding world. There's movement in the outer realms, a gathering of dark magic, and Harry himself is being tortured by potent dreams. And to top it all off, his shaky relationship with his son, Albus, a Syltherin fourth-year, is being exacerbated by Albus's friendship with Scorpius Malfoy. When Albus and Scorpius go missing, Harry, Hermione, Ron, Malfoy, and Ginny are called to battle once again - but this time, it may not be their's for the winning. When J. K. Rowling said that the Harry Potter story was complete with book seven, we would have done well to take her at her word. Let's start with the pros: almost everything that you like about the Potter world is back in Cursed Child - riddles, wands, brooms, time-travel, witty comebacks, and themes of sacrifice and friendship. Your favorite characters have returned and in pretty good form, too: Ginny, Hermione, and Prof. McGonagall are terrific as always, and Harry himself has aged nicely into a 40-year-old. Ron comes across more like the cinematic character than the book form, but is still good for a laugh or two. Its fun to see them as established adults, with families and jobs: rather like running into old friends that you haven't seen in a while, but remain exactly the same for all the time that's passed. But at it's best, Cursed Child is fun only in the way that fan-fiction is: a throwback with some new players, but adding nothing substantial to the cannon. (Note: one could argue that the Big Reveal is adding to the cannon - I would agree, but counter-argue that it was cliche and the Potter fandom deserved better.) The twisty mystery that was at the core of every Potter book is thin here and some of the charm is lost as a result. Despite the warnings to 'keep the secrets', there's nothing new here, nothing revelatory, and certainly nothing that would surprise anyone who read the first seven books. Looking back, I honestly don't know what secrets they're imploring play-goers to keep - everything in here has either been covered in Pottermore or by you and your friends over a mug of butter beer back in 2010. While there are moments of fun and the original characters are solid, the father-son relationship is tiresome, the emotional subplots heavy handed, and the Big Reveal is no shock to anyone who's seen as many non-essential sequels as I have (to date, I'm the only one I know who actually enjoyed Beyond the Poseidon Adventure - I rock that way). The story suffers, in part, from brevity: we are unable to bond with the sulky Albus and perky Scorpius the way we were with Harry, Hermione, and Ron because this is only a script, not a series of novels. But even allowing for this, Cursed Child is momentarily diverting, but ultimately unnecessary. Agree? Disagree? Comment below and let me know what you thought of the newest Harry Potter! All health blogger Alyssa Yu wants to do is give up on dating, focus on her work, and polish off her favorite canister of ice cream. When her family expects her to bring a date to the Christmas party, she has to convince her friend and neighbor, Barry Chang, to stand in as her boyfriend for the night. The ploy works perfectly - until Alyssa and Barry end up under the mistletoe. Suddenly, Alyssa has to reconsider her relationship - and face down some of her own faults. Can a luckless-in-love blogger find her happy ending after all? If you're looking for some Christmas-in-July feel-good romance reading, look no further. Ho's Merrier is short and sweet with some real-to-life conflict thrown in. Alyssa and Barry are charming, the pace is relaxing, and the story solid, reading like a Drew Barrymore rom-com. Definitely recommended! ​Follow Liwen Ho on her blog. Summoned by a 10-year-old distress signal, the Enterprise rushes to the Black Box Nebula Station One to rescue a team of scientists lead by Spock's cousin, T'Prylla, and her family. Hampered by the presence of an inexperienced young reporter and a new computer system that has the power to over-ride Kirk's command, they arrive at Station One only to find that all seems well - on the surface. But T-Prylla, her family, and the team are being controlled by a sentient force - a force that threatens the entire Universe as we know it. Captain Kirk and his intrepid crew are dispatched to the primitive planet of Cragon V to offer them Federation support, only to find that the Klingons have beaten him there. When a dispute between the Kligons and Federation landing party consisting of Kirk, Sulu, Scotty, and Chekov turns deadly, the mysterious and powerful leader of the planet condemns both parties to death. He renders the two ships helpless - and exiles Sulu, Scotty, and Chekov into the past. Scotty lands in 18th century Scotland and in the middle of Bonnie Prince Charlie's doomed revolt, Sulu in feudal Japan on the wrong side of a bloody power struggle, and Chekov in World War II Russia, where one wrong move can send you to Siberia - or worse. As the Enterprise slowly descends towards its destruction in the planet's gravitational pull, Kirk must discover how to save his ship and his men - before time runs out.